Have ever wondered why some corn kernels pop and others don’t? It is all about water content. Kernels pop because they have a membrane or pericarp that holds in water. When heated the kernel’s water turns to steam that explodes through the pericarp. Corn that has dried out – cracking the membrane – does not pop*. But like many things in life, working out which off-shore aircraft registry will pop (or not) is much harder. 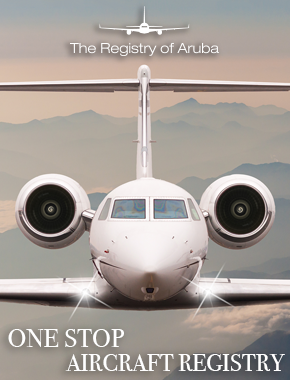 Until 2007, when the Isle of Man aircraft registry launched, it was really all about the ABCs – Aruba, Bermuda and the Cayman Islands – and these all continue to do well. The Isle of Man is another that has clearly been a success. On March 3 it hit its 1,000th aircraft registration. Analysis by The Sovereign Group, shows that the register has 432 aircraft on it at the moment including 313 corporate jets. San Marino, which launched in 2012, is also really booming, particularly with operators. It now has more than 200 aircraft on its registry and 13 companies have San Marino Aircraft Operator Certificates. The latest to get one was Luxaviation. In contrast, the Jersey register has not been a great success. Originally, the registry was to have been a joint effort between Guernsey and Jersey, but a fallout during the planning stages pushed the two apart. Guernsey then launched its own 2-register in December 2013. Jersey eventually followed in November 2015 with its ZJ- register. And while Guernsey’s register began to grow, Jersey’s struggled. There are currently around 20 2-reg private jets, and a higher number of commercial aircraft registered in Guernsey. Jersey has only ever had one helicopter and one Cessna Citation CJ4 on its register. According to a Freedom of Information request that Corporate Jet Investor submitted to the States of Jersey in December 2017, the register cost £860,000 ($1.2 million) to set up and costs £66,000 to run every year. From the date of launch until September 2017, the total fees generated by the registry were just £15,617. Following the poor performance, the government decided to stop actively marketing the registry whilst a new business model was devised. But more problems arose in October 2017 when Avisa, the technical support company used by the registry, was acquired by The CAVOK Group, which decided against continuing with the contract. Without technical services, the register was forced to ground its only aircraft until a new technical support contract could be put in place. 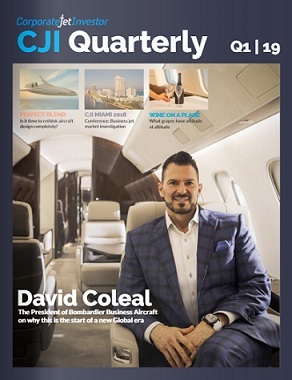 Fortunately, only the Citation CJ4 was on the register at the time and, even then, it was undergoing maintenance in the UK. After being offline for just over a week, the States of Jersey appointed Regio Lease as the new technical support company for a six-month interim period whilst the new business model was being worked on. Six months later, the States of Jersey have passed the management of the register over to Ports of Jersey, no doubt impressed with how it has grown the island’s ship register since it took it over in 2016. Since Ports of Jersey has taken over the shipping register, it has added 287 new vessels and completed over 1,900 transactions. Other aircraft registries may launch soon. Air Safety First Group, which runs the Aruba and San Marino registries, is looking at other jurisdictions. Apparently, once you pop you can’t stop. *What other business aviation newsletter gives you useful facts like this? NOTE: The below originally appeared as the editorial in our One Minute Week newsletter. To find out more, and sign up for free, please click here.